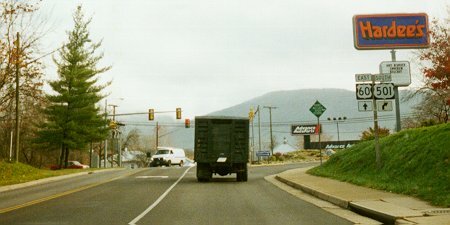 North end of US 501 in Buena Vista. Photo by Adam Froehlig, taken November, 1999. This is the view as seen from eastbound US 60. 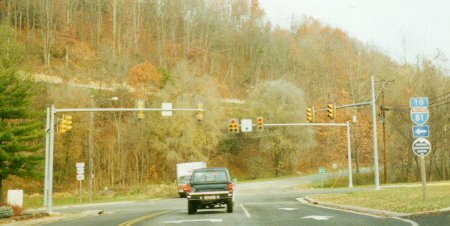 Photo by Adam Froehlig, taken November, 1999.